The Model 4003 was introduced in 1979. It started as a model 4001 redesigned for use with round wound strings. In 1986 the 4003 replaced the 4001 entirely. 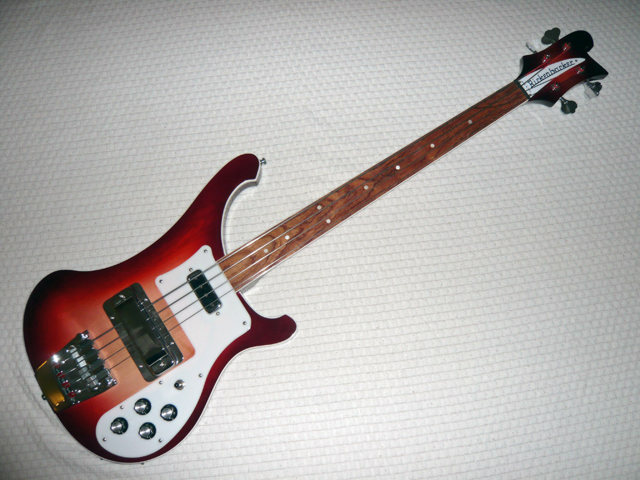 The first edition of the 4003 had a dual pickguards and truss-rod adjustment at body end. 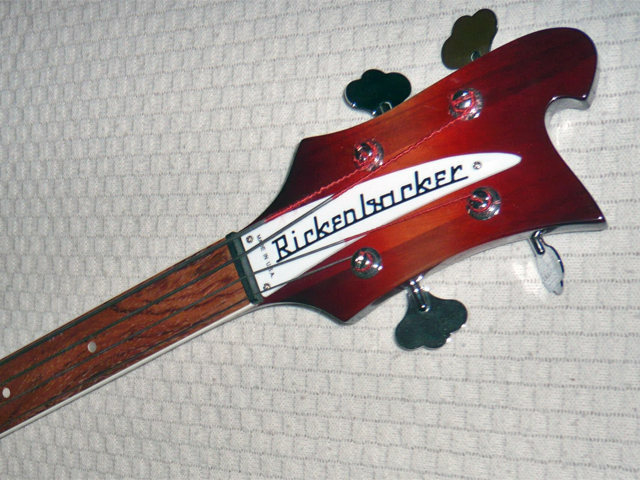 The second version had a single pickguard and truss-rod adjustment at headstock. 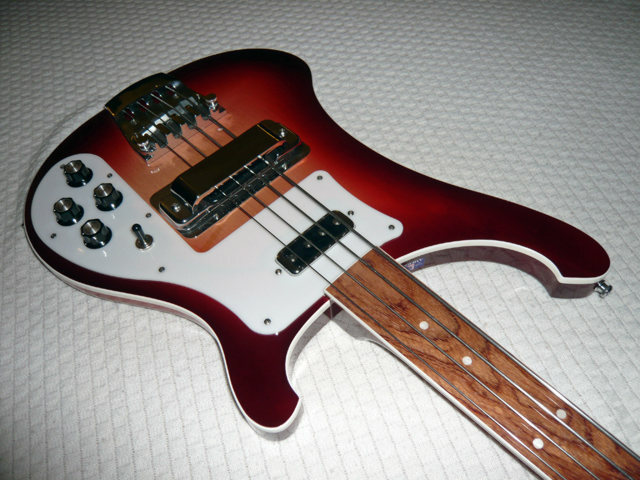 Here is a fretless version of the Model 4003.